It has been awhile since I have written anything. The dual responsibilities of fatherhood and work have taken up so much of my time over the last several months that sports is, unfortunately, the last thing on my mind. Life sometimes demands re-prioritization. As we head into the sunset of 2011 there is more than enough to opine about – from the Penn State scandal to the NBA lockout. But what really caught my eye yesterday was a relatively minor headline that the Royals have given Bruce Chen a 2 year contract worth $ 9 million. I was a bit surprised at this because the last time I looked Chen was a mediocre, journeyman pitcher for the Atlanta Braves. “Blossomed”? You have got to be kidding me. Thirty years ago if a pitcher had an ERA around 4.00 the only talk was about removing him from the starting rotation and re-assigning him to the minor leagues. When I read the news about Chen’s absurd contract. I could not help but think back to Mark Fidrych . 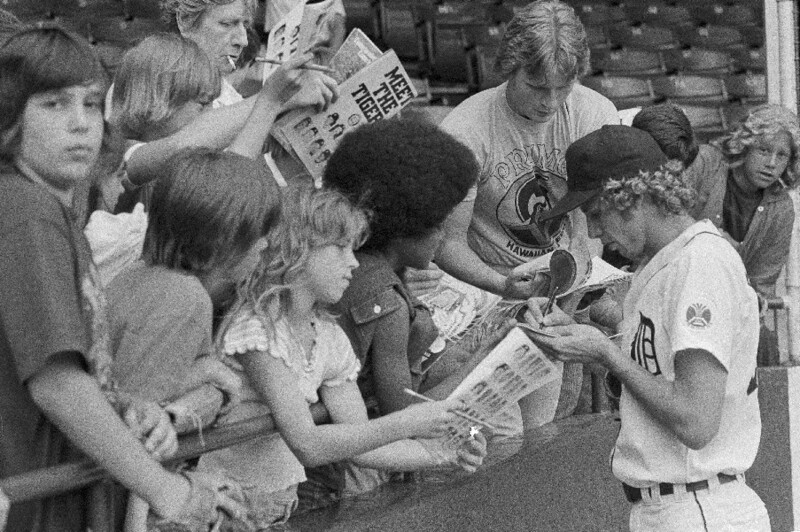 After Fidrych went 19-8 in 1976 with an ERA of 2.34 and finished second in the Cy Young balloting, he was offered a pay raise by the Tigers but declined it saying that the $ 18,500 he was making as a player was more than enough. The Tigers pretty much had to force a $ 25,000 bonus on him just to mollify fans who knew that Fidrych deserved more than he was making. This is why I find it so hard to watch a game nowadays. Players with the talent and humility of Mark Fidrych don’t exist while others like Bruce Chen demand and receive obscene amounts of money in exchange for mediocrity. You are truly missed, Mark.